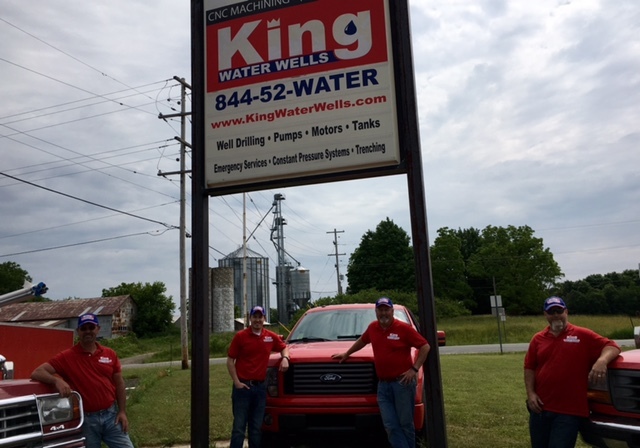 King Water Wells is a third generation, family owned business. Led by Wayne and Kegan King, the father and son duo have collectively been in the water well drilling and treatment business for over 50 years. Wayne King is the former owner of Geiger Water Wells (1988-2011). He purchased it from his father-in-law Karl Geiger who started it in 1939. Kegan is Karl's grandson and grew up working in the family business. Since selling the original business, Wayne and Kegan started King Water Wells to build from the ground up, a water well company that is the best in the industry! Joining our leadership team is Head Driller and Field Manager Chad Sheldon who brings years of industry expertise in water wells and oil field drilling and service.